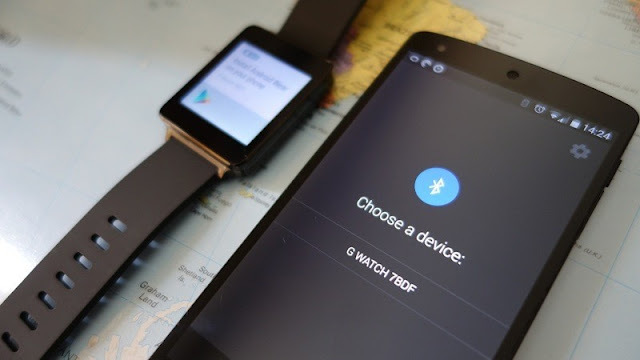 Android Wear watches gives you the best use of apps and Google on your wrist peacefully. And before you can start using your Android wear, you'll need to pair it with your phone. 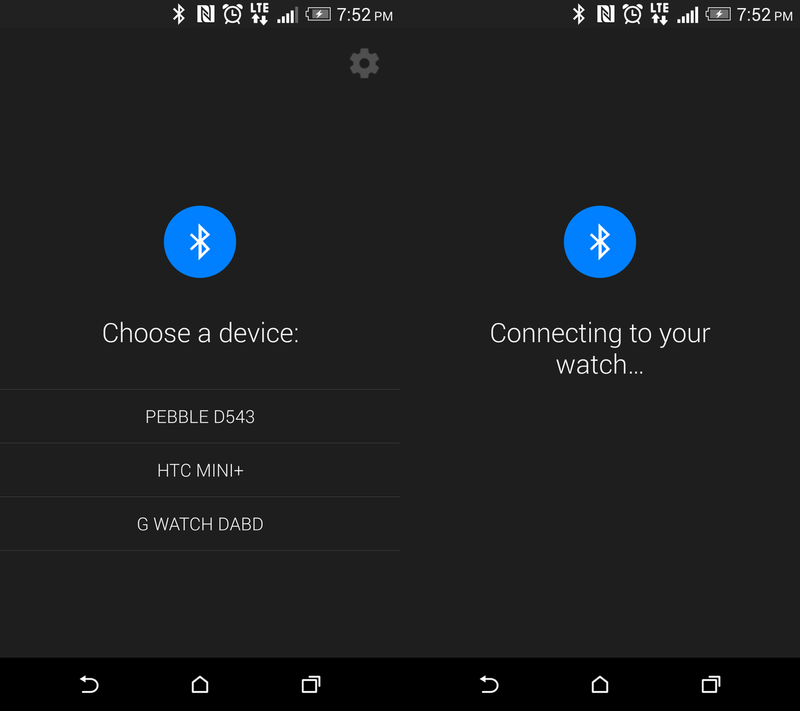 Pairing your watch with your Android smartphone for the first time can be a little lengthy and stressful because you'll need to set some settings up. This article covers how you can pair your new watch with your Phone with step by step. So here's how to pair your Android wear with your phone. Note: The Android wear only works on Android phone running on version 4.3 and higher. So in case you are using any version below that then you can't proceed. Opening the Google Play Store app and search for Google Search into the search bar. Then select the Google Search app from the apps list and tap on download. Then install it as you would with any app. 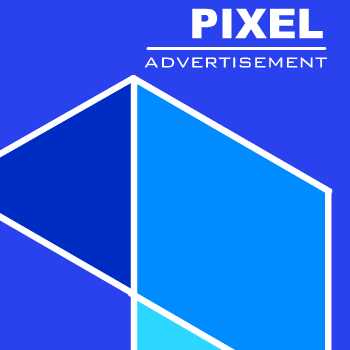 Or you can just visit this link to download the latest version. Once you've finished installing the Google search, you can now proceed to pairing your phone with your Android wear. So you'll need to download the Android Wear app from Google Play Store. Open Google Play, search for Android wear, and then download it. Or you can just use this Google Play link instead to download it quickly. Install it normally as you would with any app. During the installation process, you'll need to give permission for the Android wear app to do things like recognize your contacts or track your position. After installing the app, open it and turn on your Bluetooth on both devices. 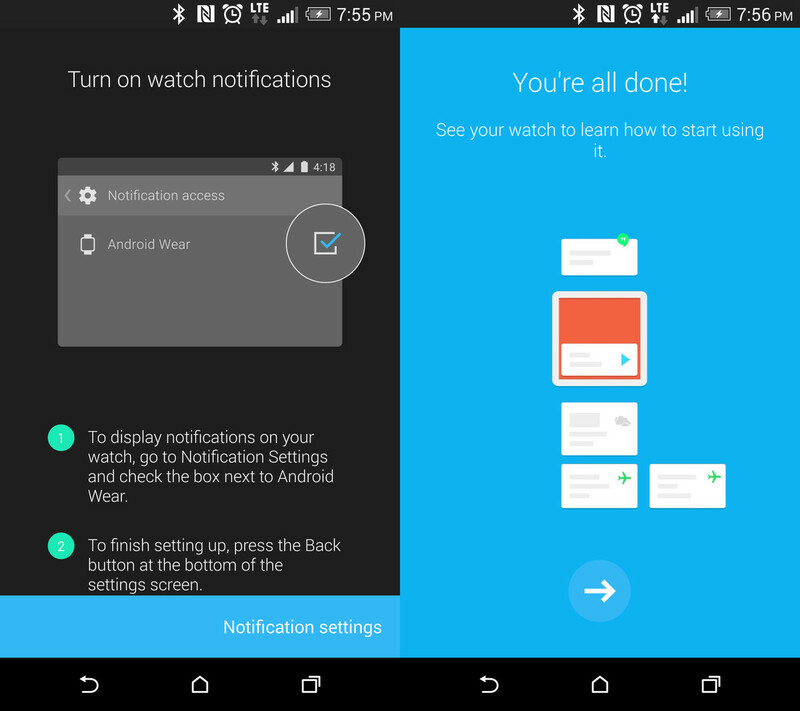 Then you'll be presented with the start screen displaying the Android wear app features, so just tap on Accept. You should now see your Android Wear device listed in the list of available device. So select your Android wear device. Now press OK on your phone and tap on the check mark on your watch to accept the pairing request for both devices. So your watch will download an update, and then you'll be automatically connected to your smartphone through the device's Bluetooth connection. Once it's finished pairing, it will take you to a screen showing you more about the Android wear settings, notifications and so on. You can enable notifications for your Android Wear watch. In actual fact smartwatch isn't very smart without any notifications. 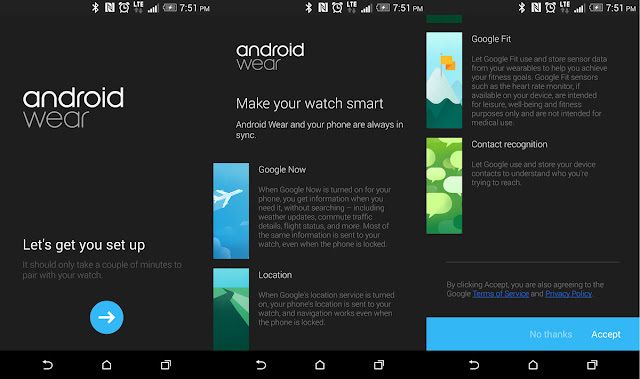 There are numerous settings you could sets to make your Android wear more lively.